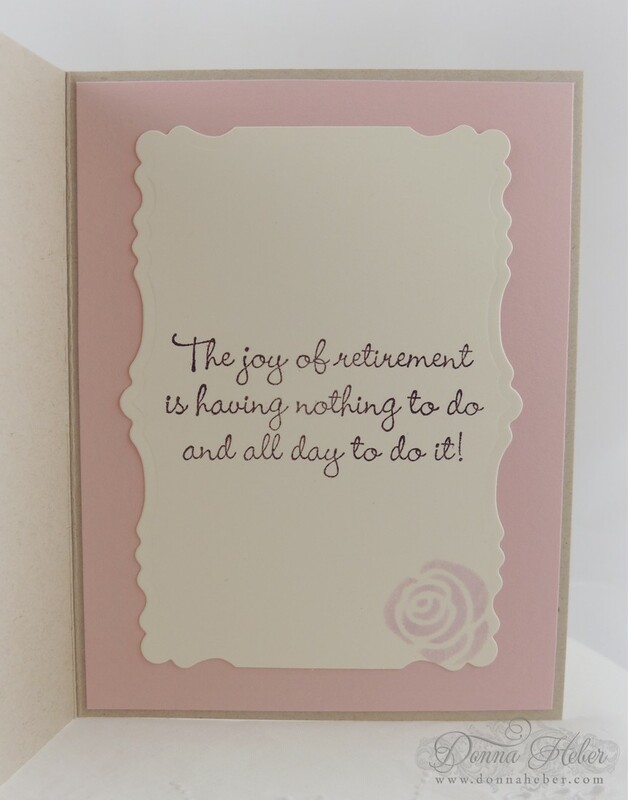 I'm back today with a card I created for a friend's retirement. 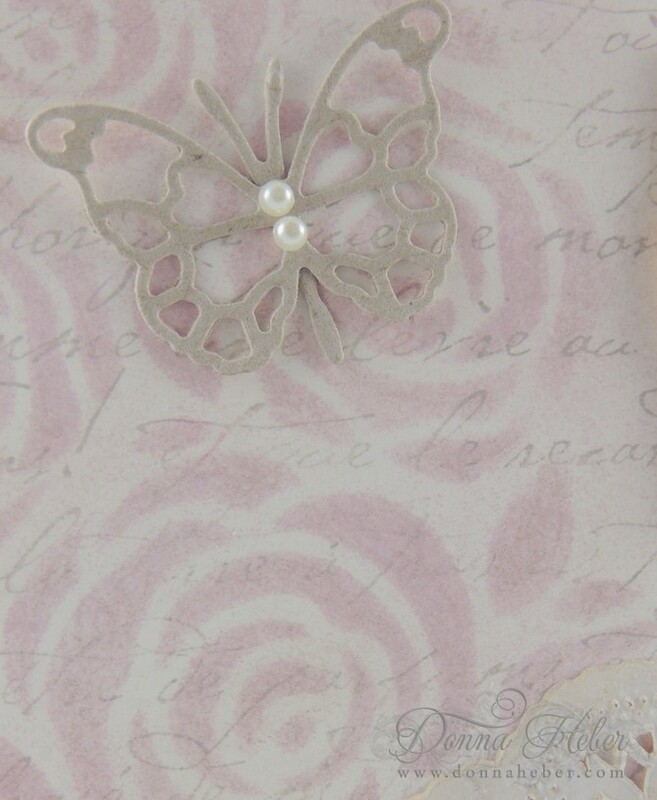 I started with a piece of Very Vanilla paper and stamped the French Script background using Brilliance Pearlescent Beige. I then used the rose paper from the Artisan Embellishment Kit to stencil them onto the background using Distress Victorian Velvet ink. A little shimmer was added with a clear Spica pen. 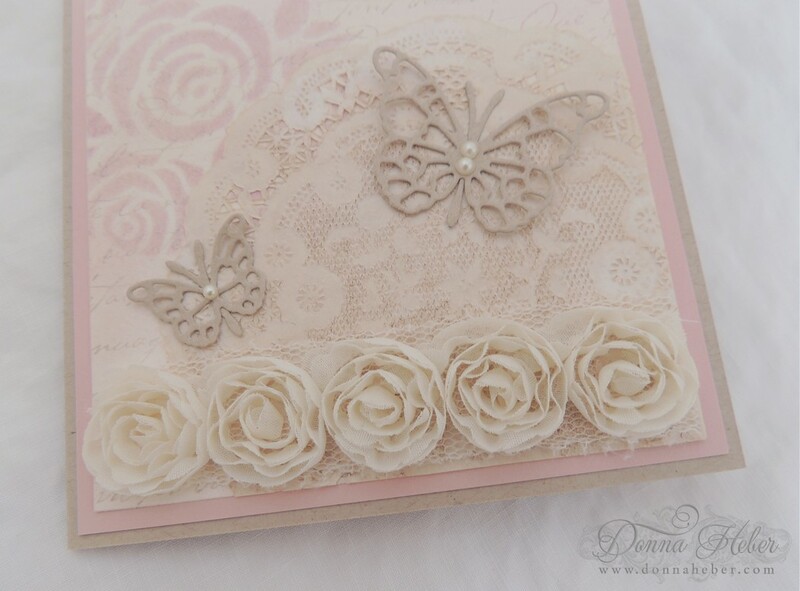 In the lower corner I glued a 4" vintage French lace doily, which was sponged with Brilliance Pearlescent Beige. 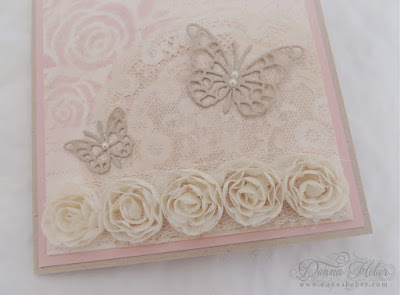 The butterflies were cut from desert storm paper using the Memory Box Pippi Butterfly and Leavenworth Butterfly Trio dies. They were then spritzed with Tattered Angels Iridescent Gold Glimmer Mist and accented with Kaiser champagne pearls. I thought the SU 5/8" Very Vanilla Flower trim would go perfectly along the bottom. 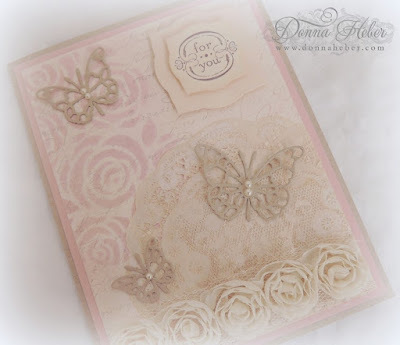 I stamped For You in Chocolate Chip onto a Spellbinders Labels Three #1 and layered it with a #2. Sponging was done on the two dies to match the background. 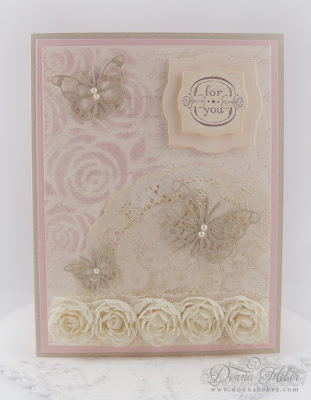 The card base is desert storm with a layer of Blushing Bride. The inside verse was stamped in Chocolate Chip. 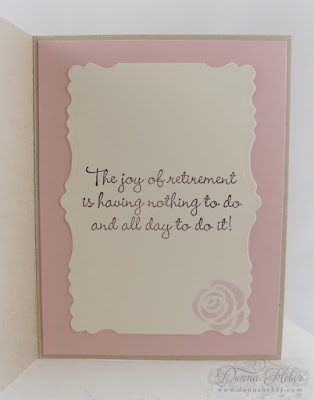 I'm so glad I was able to find this one in my stash as I don't have too many retirement stamps. 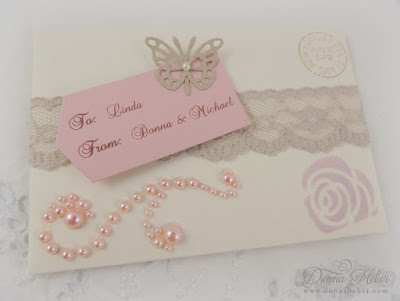 To coordinate with the front of the card I stenciled a rose in the corner. Since my friend likes to knit and do crafts I decided to give her a gift card. Below is the envelope using the SU Gift Card Envelope & Trims die. Michael and I had such a wonderful time at her party, which was held at the Italian American Community Center. Treviso by Mallozzi's did the catering and the food was superb! My 'mojo' has been flowing again and I have quite a few projects just waiting to be put together.